Max Levien was born in Moskau on 21st March, 1885. He joined the Socialist Revolutionaries and was active during the 1905 Russian Revolution. After the failure of the revolution, Levien emigrated to Germany. During the First World War he was a member of the German Army. On 28th October, 1918, Admiral Franz von Hipper and Admiral Reinhardt Scheer, planned to dispatch the fleet for a last battle against the British Navy in the English Channel. Navy soldiers based in Wilhelmshaven, refused to board their ships. The next day the rebellion spread to Kiel when sailors refused to obey orders. The sailors in the German Navy mutinied and set up councils based on the soviets in Russia. By 6th November the revolution had spread to the Western Front and all major cities and ports in Germany. Levien was based in Munich in November, 1918. He joined the German Communist Party (KPD), and supported the general strike called for by Kurt Eisner, the leader of the Independent Socialist Party. As Paul Frölich has pointed out: "They (Eisner and his political supporters) were enthusiastic about the idea of the political strike especially because they regarded it as a weapon which could take the place of barricade-fighting, and it seemed a peaceable weapon into the bargain." 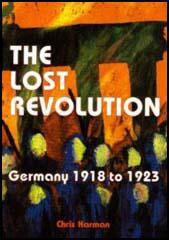 Chris Harman, the author of The Lost Revolution (1982), has argued: "On 7th November, 1918, the city was paralysed by the strike. Auer (the SDP leader) turned up to address what he expected to be a peaceful demonstration, to find the most militant section of it composed of armed soldiers and sailors, gathered behind the bearded Bohemian figure of Eisner and a huge banner reading Long Live the Revolution. While the Social Democrat leaders stood aghast, wondering what to do, Eisner led his group off, drawing much of the crowd behind it, and made a tour of the barracks. Soldiers rushed to the windows at the sound of the approaching turmoil, exchanged quick words with the demonstrators, picked up their guns and flocked in behind." Eisner led the large crowd into the local parliament building, where he made a speech where he declared Bavaria a Socialist Republic. Eisner made it clear that this revolution was different from the Bolshevik Revolution in Russia and announced that all private property would be protected by the new government. Eisner explained that his program would be based on democracy, pacifism and anti-militarism. The King of Bavaria, Ludwig III, decided to abdicate and Bavaria was declared a republic. On 9th November, 1918, Kaiser Wilhelm II abdicated and the Chancellor, Max von Baden, handed power over to Friedrich Ebert, the leader of the German Social Democrat Party. At a public meeting, one of Ebert's most loyal supporters, Philipp Scheidemann, finished his speech with the words: "Long live the German Republic!" He was immediately attacked by Ebert, who was still a strong believer in the monarchy and was keen for one of the his grandsons to replace Wilhelm. In Bavaria Eisner was forced to form a coalition government with the Social Democratic Party. During this period the living conditions of the Munich workers and soldiers were rapidly deteriorating. It was not a surprise when at the election on 12th January, 1919, in Bavaria, Eisner and the Independent Socialist Party received only 2.5 per cent of the total vote. Eisner remained in power by granting concessions to the SDP. This included agreeing to the establishment of a regular security force to maintain order. As Chris Harman pointed out: "In office without any power base of his own, he was forced to behave in an increasingly arbitrary and apparently irrational manner". On 21st February, 1919, Eisner decided to resign. On his way to parliament he was assassinated by Anton Graf von Arco auf Valley. It is claimed that before he killed the leader of the ISP he said: "Eisner is a Bolshevist, a Jew; he isn't German, he doesn't feel German, he subverts all patriotic thoughts and feelings. He is a traitor to this land." One armed worker walked into the assembled parliament and shot dead one of the leaders of the Social Democratic Party. Many of the deputies fled in terror from the city. Max Levien became the new leader of the revolution. Rose Levine-Meyer argued: "Levien.... was a man of great intelligence and erudition and an excellent speaker. He exercised an enormous appeal of the masses and could, with no great exaggeration, be defined as the revolutionary idol of Munich. But he owed his popularity rather to his brilliance and wit than to clear-mindedness and revolutionary expediency." On 7th April, 1919, Levien declared the establishment of the Bavarian Soviet Republic. Paul Frölich later commented: "The Soviet Republic did not arise from the immediate needs of the working class... The establishment of a Soviet Republic was to the Independents and anarchists a reshuffling of political offices... For this handful of people the Soviet Republic was established when their bargaining at the green table had been closed... The masses outside were to them little more than believers about to receive the gift of salvation from the hands of these little gods. The thought that the Soviet Republic could only arise out of the mass movement was far removed from them. While they achieved the Soviet Republic they lacked the most important component, the councils." As the author of The Lost Revolution (1982) has pointed out: "Meanwhile, conditions for the mass of the population were getting worse daily. There were now some 40,000 unemployed in the city. A bitterly cold March had depleted coal stocks and caused a cancellation of all fuel rations. The city municipality was bankrupt, with its own employees refusing to accept its paper currency." Eugen Levine, a member of the German Communist Party (KPD), arrived in Munich from Berlin. He became one of the leaders of the Bavarian Soviet Republic. He pointed out that despite Levien declaration, little changed in the city: "The third day of the Soviet Republic... In the factories the workers toil and drudge as ever before for the capitalists. In the offices sit the same royal functionaries. In the streets the old armed guardians of the capitalist world keep order. The scissors of the war profiteers and the dividend hunters still snip away. The rotary presses of the capitalist press still rattle on, spewing out poison and gall, lies and calumnies to the people craving for revolutionary enlightenment... Not a single bourgeois has been disarmed, not a single worker has been armed." Francis Ludwig Carsten, the author of Revolution in Central Europe: 1918-1919 (1972), has argued: "From 14 to 22 April there was a general strike, with the workers in the factories ready for any alarm. The Communists sent their feeble forces to the most important points... The administration of the city was carried on by the factory councils. The banks were blocked, each withdrawal being carefully controlled. Socialisation was not only decreed, but carried through from below in the enterprises." Some of the revolutionaries realised that it was not possible to create a successful Bavarian Soviet Republic. Paul Frölich argued: "Bavaria is not economically self-sufficient. Its industries are extremely backward and the predominant agrarian population, while a factor in favour of the counter-revolution, cannot at all be viewed as pro-revolutionary. A Soviet Republic without areas of large scale industry and coalfields is impossible in Germany. Moreover the Bavarian proletariat is only in a few giant industrial plants genuinely disposed towards revolution and unhampered by petty bourgeois traditions, illusions and weaknesses." On 26th April, Ernst Toller made an attack on the leaders of the German Communist Party in Munich that had established the Second Bavarian Soviet Republic. "I consider the present government a disaster for the Bavarian toiling masses. To support them would in my view compromise the revolution and the Soviet Republic." Levien managed to escape to Austria. Later he moved to the Soviet Union. Joseph Stalin was highly suspicious of German communists who had been supporters of the Spartacus League and Levien was eventually arrested by the NKVD as part of the Great Purge. 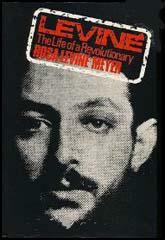 Max Levien was executed on 16th June, 1937. Max Levien.... was a man of great intelligence and erudition and an excellent speaker. He exercised an enormous appeal of the masses and could, with no great exaggeration, be defined as the revolutionary idol of Munich. But he owed his popularity rather to his brilliance and wit than to clear-mindedness and revolutionary expediency.